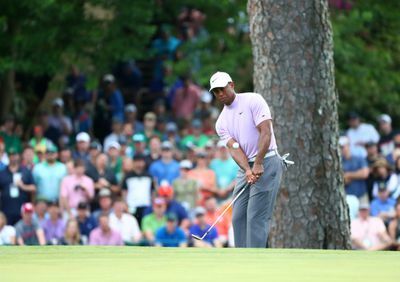 Tiger Woods has a fifth green jacket in his sights, which is enough to make even a Masters “patron” lose their senses. Again, this was not a particularly pleasant mixture from some verdant piece of beautiful Augusta National. But Tiger makes these galleries do irrational, weird things. Like hover in the trees and look at some random indentation in the mud and proclaim you want to eat it. 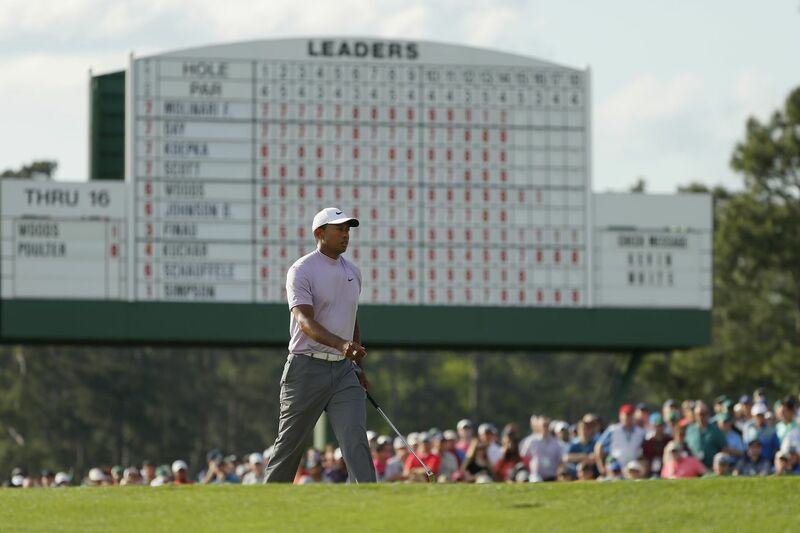 Tiger can even have the “patrons” losing their sense of place and running afoul of Bobby Jones and Augusta’s spectator guidelines. At the 12th, we got a loud Baba Booey after Tiger made impact, as if we were at Liberty National and not Augusta National. At the 16th, there was even some light booing from the adjacent 17th tee as Ian Poulter arrived at his ball behind the green. Booing! At the Masters! The low hum was promptly muted by security, who marched toward the area and told them to cut it out immediately.